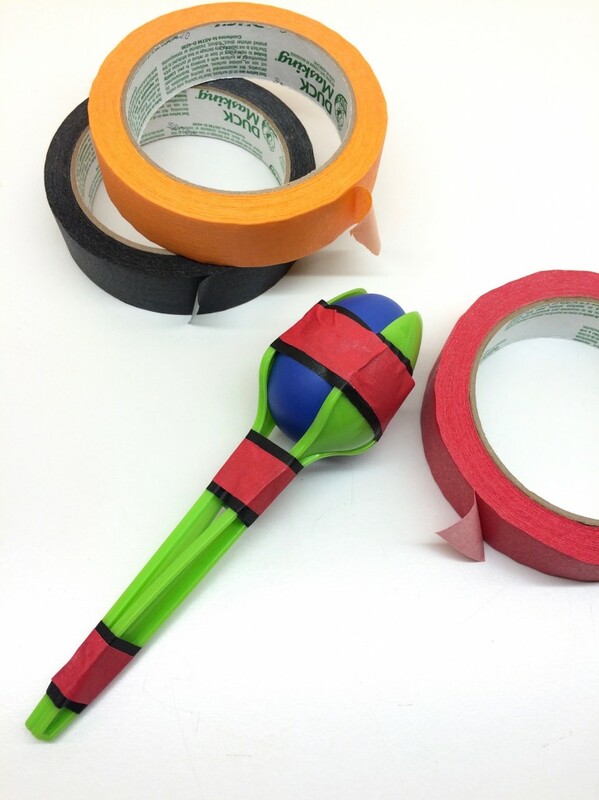 Craft Activity for Kids: Make Your Own Maraca! 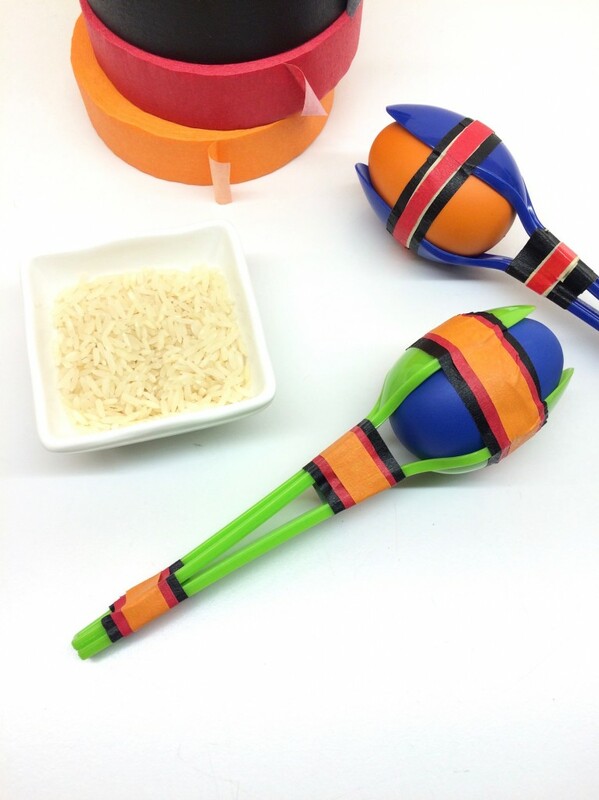 If you have a real set of maracas, start by looking at them and asking students to identify the parts of the maraca (maraca head and handle!). What is making the noise? 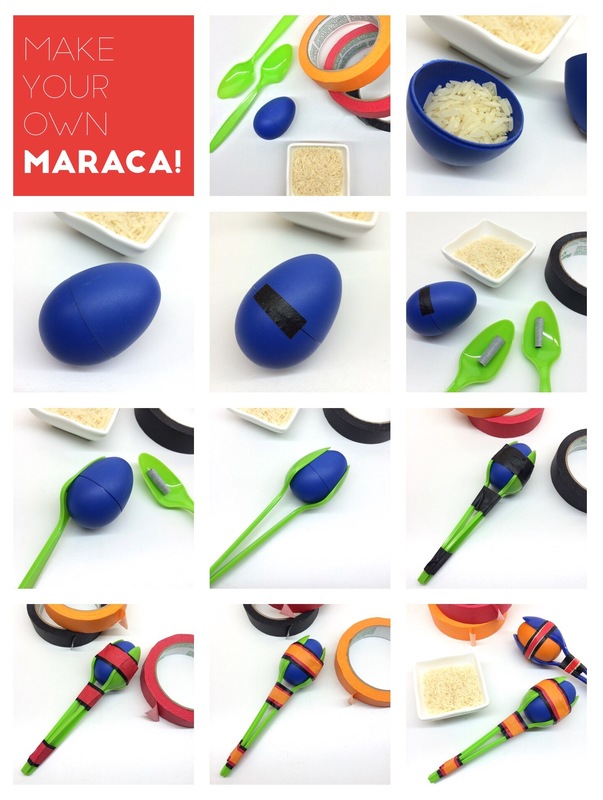 (little beads inside the maraca head!). 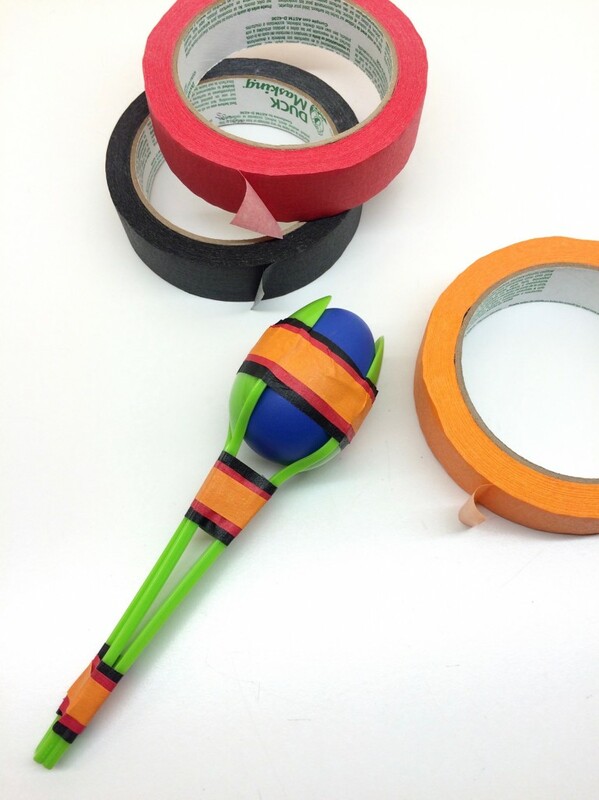 To make our maraca head, we’re going to use a hollow, plastic egg. Do kids have any ideas what we could put inside to make sound? Let kids contribute ideas. 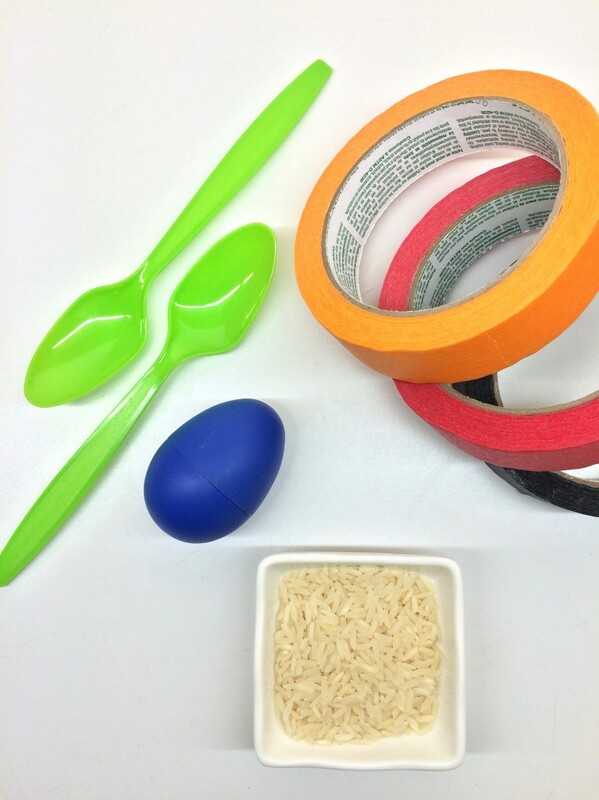 Today, we’re going to use uncooked rice to fill our eggs. 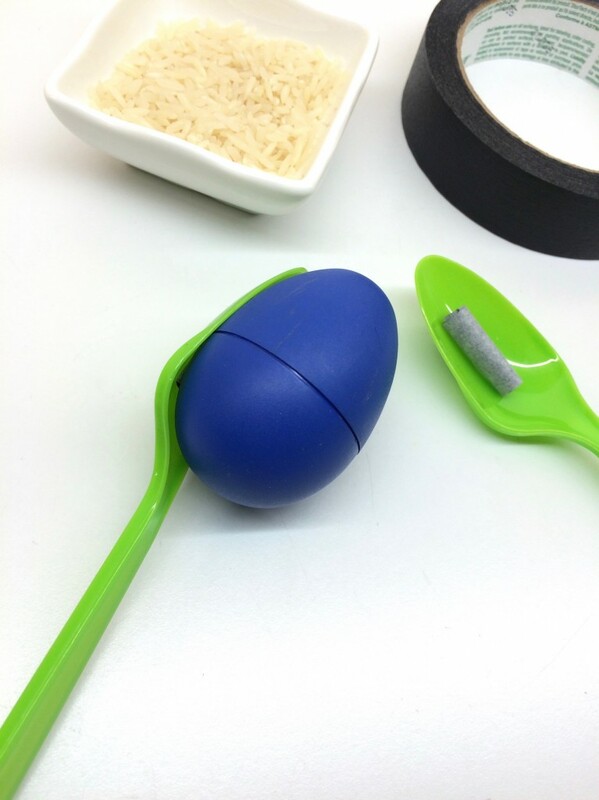 To create a handle, we’re going to sandwich the egg between 2 spoons and secure them together! Show finished model. Let kids pick 2 spoons to use as their handles and one plastic easter egg. What colors did everyone choose? Everyone should have a little bit of rice in front of them. To begin, we’re going to put rice in our eggs. 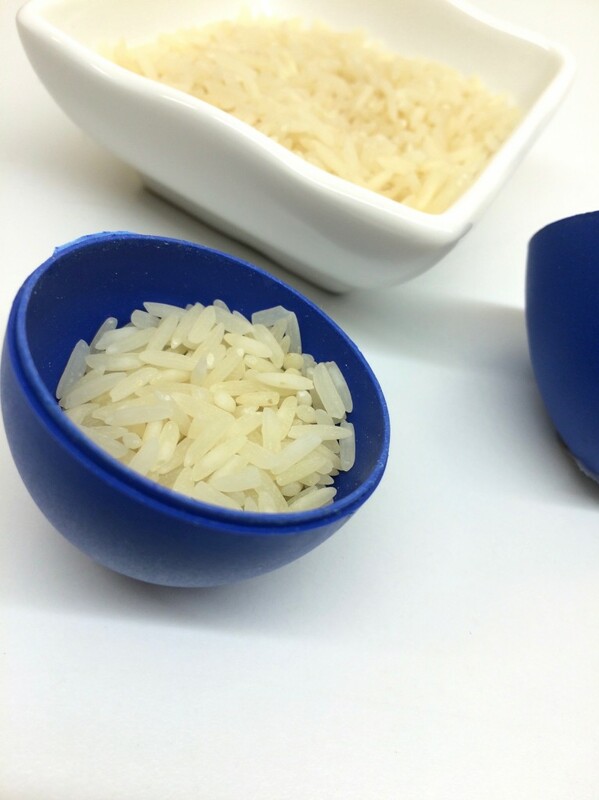 Step 1 (fill plastic egg): Carefully add 1-2 tsp of rice to one side of your egg and close! Now we need to seal our egg closed with a little bit of tape. Give each child a small piece. 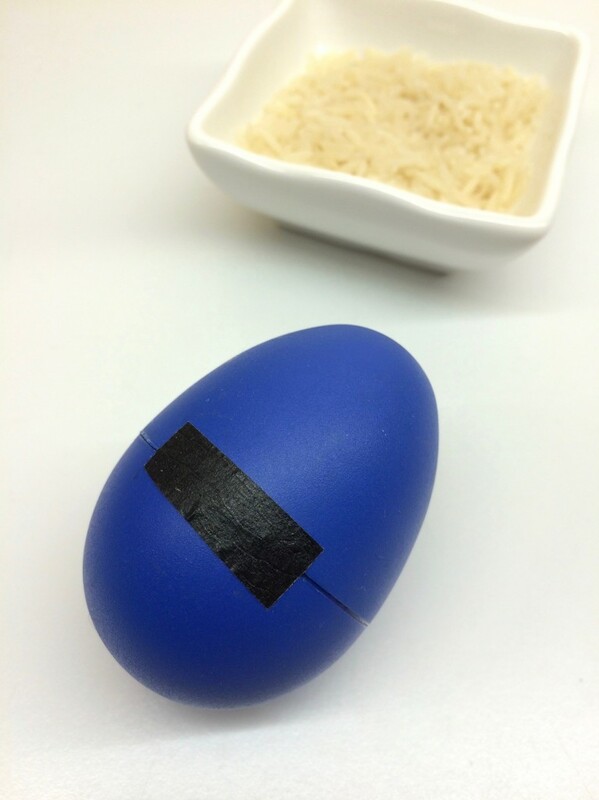 Step 2 (secure egg with tape): Use tape to cover one side (opposite hinge) of your egg to secure. Shake to test the sound! 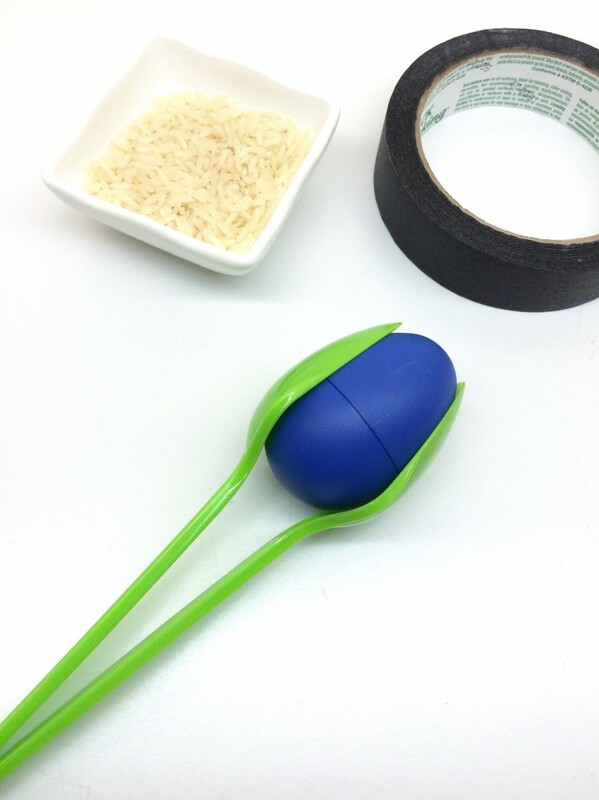 Let’s add a little piece of tape to the inside of each spoon to help hold the egg in place. 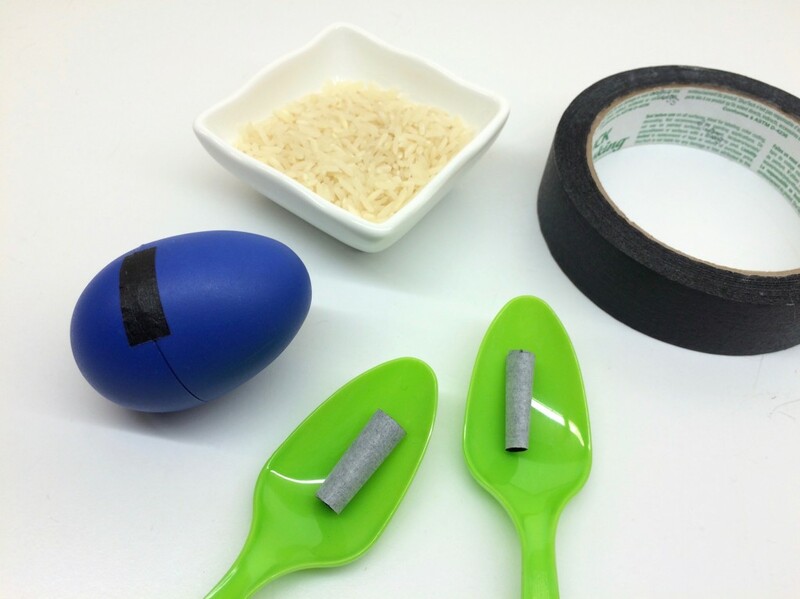 Show kids how to roll up a small piece of tape and place one at a time in each spoon. Now let’s add handles to our egg shaker! Step 4 (place egg between spoons): Place the egg on one spoon, pushing firmly in place, then add the 2nd spoon on the opposite side so that their handles align and touch at the bottom. Next, we have to secure our handles with tape! Help kids choose & cut tape in a variety of widths and lengths. 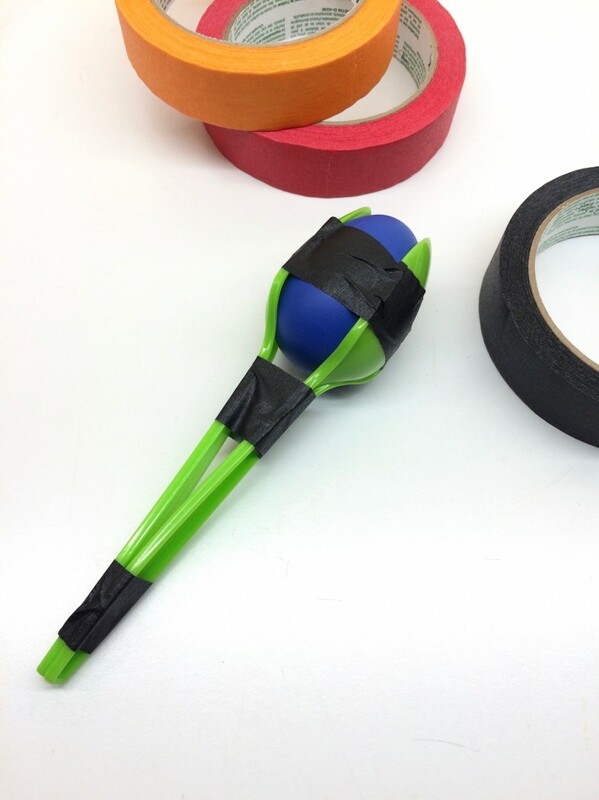 Step 5 (tape spoons around egg): Use tape to secure egg in place! Wrap around the center of the egg, beneath where the egg sits and at the bottom of the handles.